On our frequent visits to Whitstable, we’ve often been intrigued by a glinting weather vane, perched high above the trees at the Tankerton end of the beach. It turns out that the weather vane rises from the battlements of Whitstable Castle, originally Tankerton Towers, a former gentlemen’s residence of the Regency period. The house started life as home for a wealthy family called the Pearsons, but it was a silk Merchant called Wynn Ellis who was responsible for extending the house and laying out the gardens from 1835-1875. 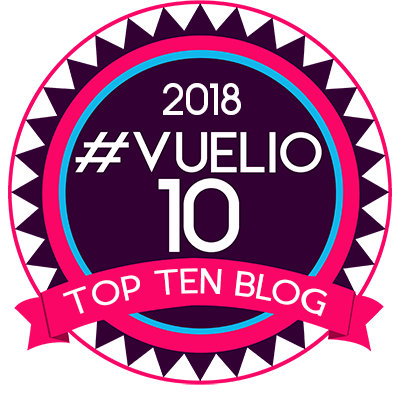 Whitstable Castle is a rarity – a stately property which was handed over to the local council for just 10,000 pounds and has managed to arrive at 2013 in great shape. It’s all thanks to a two million pound grant from the Heritage Lottery Fund and further one million pounds provided by Canterbury City Council. Based on my visit last weekend I’d say it was money well spent. 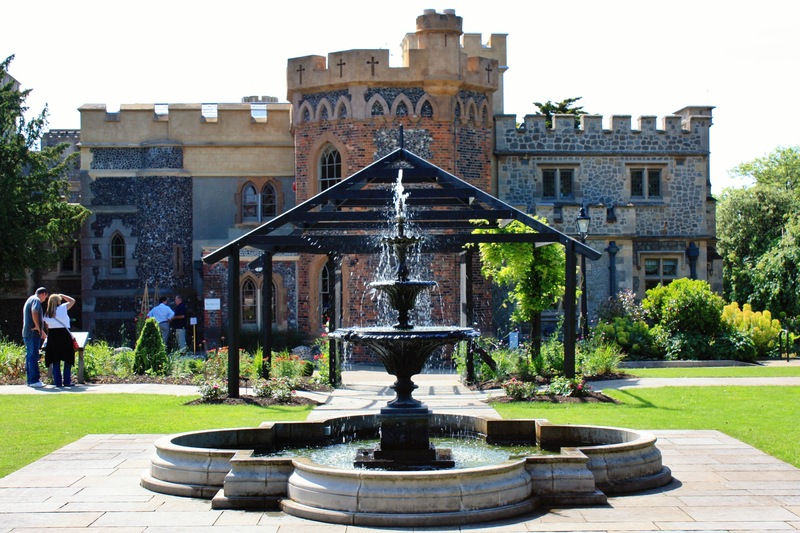 The castle, now a smart wedding venue, appears to be in mint condition, whilst the public gardens are brimming with an imaginative mix of trees and flowers designed to echo the property’s regency origins. 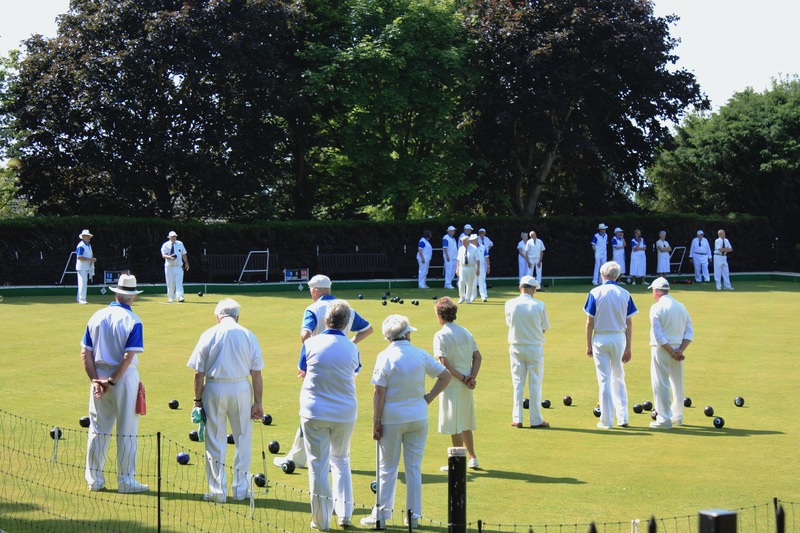 The lawns on the lowest terrace in front of the house are now a fine bowling green, which on Saturday was the focus for Whitstable’s finest silver sportsmen and women. The British penchant for neatly mown grass and sparkling white sporting attire was as well illustrated here as it is at Wimbledon. The main gardens consist of the winding walks and serpentine beds typical of the regency period. The aim was to create an illusion of a woodland glade filled with flowers. A great many roses of the modern old-fashioned type championed by David Austin were in full bloom, smelling gorgeous. Planted in between were verbascums, scabious, foxgloves and campanulas with lots more to come later. 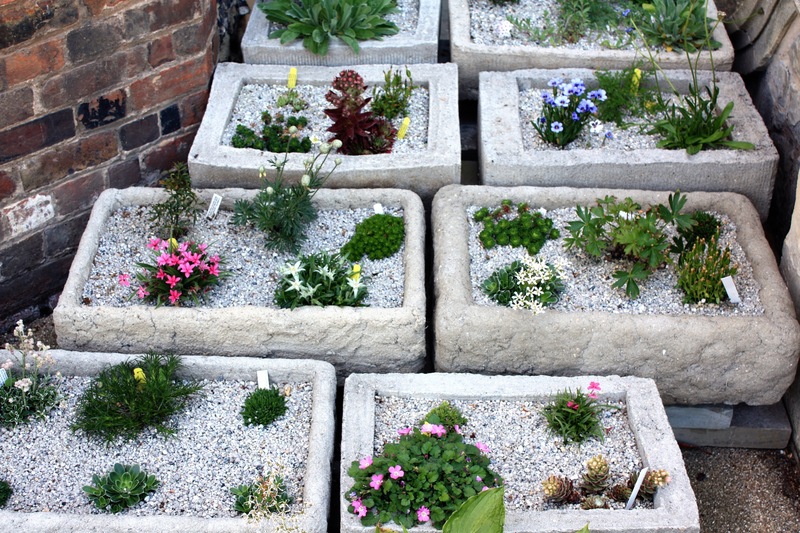 No boring ‘low maintenance’ shrubs here. In front of the main entrance is a formal rose garden which has yet to reach maturity. 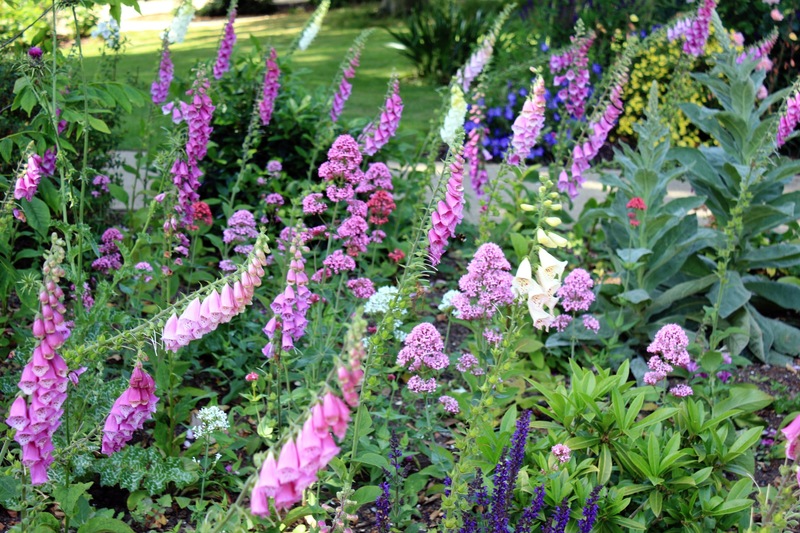 The young climbers and bushes are accompanied by alliums, more verbascums and magenta Geranium psilostemon. 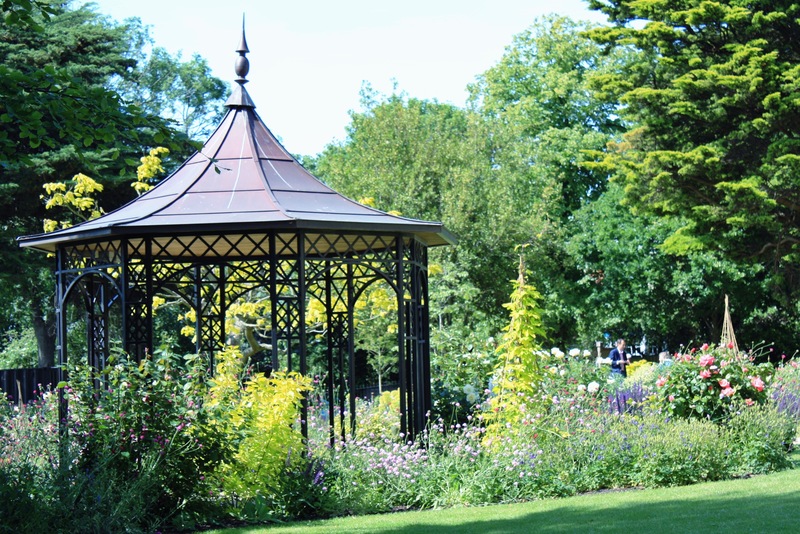 In the 1940s and 50s the centre of the rose garden was turned into a dancefloor, hosting a programme of dinners and dances for the local people during the summer months. 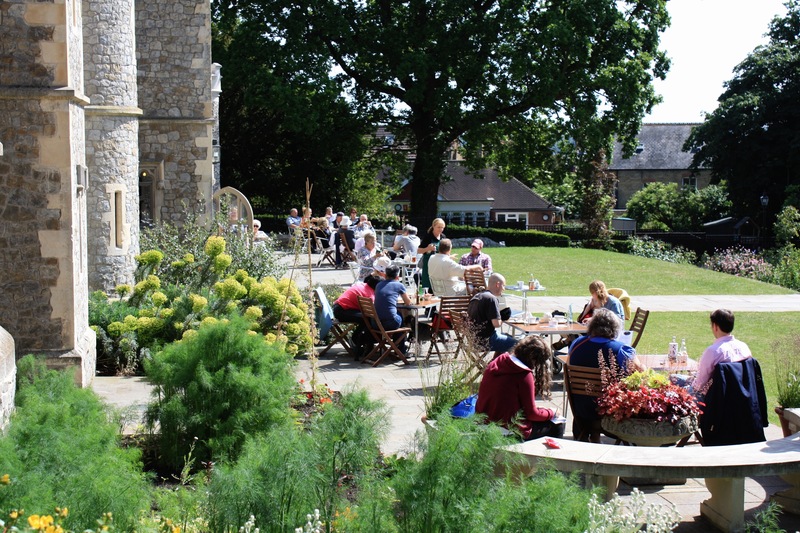 The castle’s pretty orangery is now a tea room, with the sunny terrace providing outdoor seating for visitors. Alas I was still too full of lunch to indulge in tea and cake, but on this rare, warm afternoon it was already doing a roaring trade without me! Whitstable is a smart, vibrant town, now with a fine park for the community to enjoy. 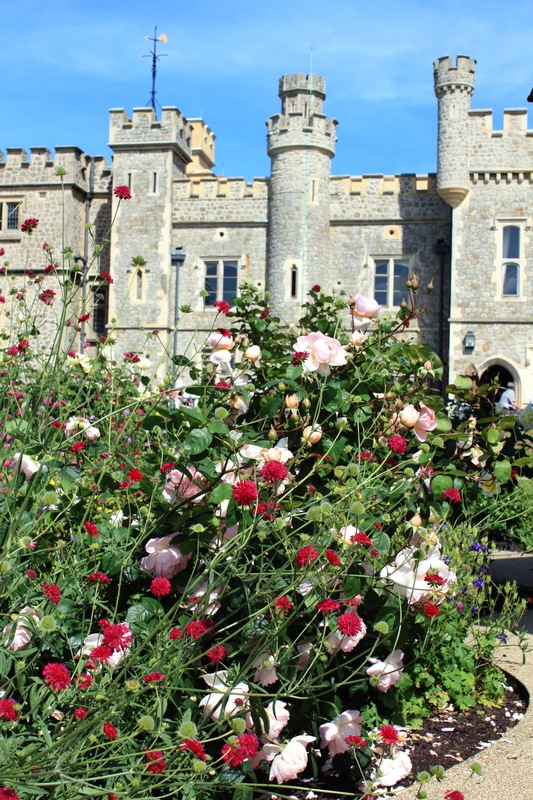 The castle and grounds are managed by a charitable organisation, The Whitstable Castle Trust, who should be very proud of what they’ve created – a modern park without the faintest whiff of utility or compromise. If only the funds were available to replicate this standard in more parks. There is no evidence of vandalism or abuse, which suggests to me that if you give people a space which looks like it should be respected, then it will be respected. 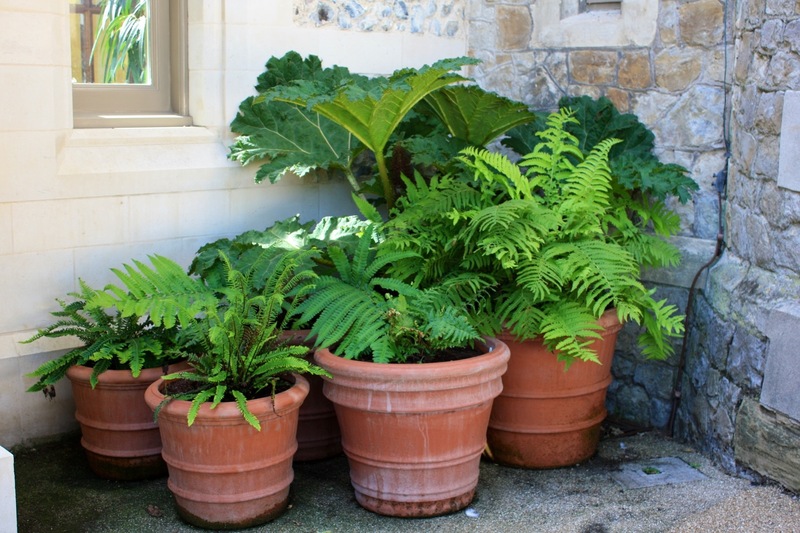 Finally, to illustrate that there can be more to parks than trees, grass and shrubberies, here are some photographs of rejuvenated alpine sinks and a cluster of terracotta pots planted with ferns and Gunnera manicata, an idea I might just have to try at home.